If you’re an experienced pet owner, you know that where there's one flea, there are undoubtedly more. Effective flea control requires treatment of both the pet and the home, including the use of products that address the entire flea life cycle. That will require treating your pet and cleaning your home thoroughly, perhaps more than once. There are many flea species, but the most common one in the United States is Ctenocephalides felix, commonly known as the cat flea. These parasites thrive off the blood of mammals like cats, dogs, even humans. They love warm, moist places, and they breed like crazy, which is what can make infestations so serious. Fleas go through four stages in their life cycle: egg, larva, pupa, and adult. Eggs hatch within 12 days of being laid. The larval stage lasts from four to 18 days. During this time, they feed on things like dead skin cells and dander, but they don't bite like adults do. Flea larva next enter a pupal stage and lie dormant for anywhere from three to five day. It's the adult fleas that are the true pests. They're hungry and bite their hosts in order to feed off the blood they draw. They're also mobile, capable of leaping from host to host. And they're prolific. An adult female can begin laying eggs within 48 hours of her first meal, on average 50 eggs a day. And fleas can live for two or three months, breeding until the end. To stop fleas, you need to break their life cycle, which means eliminating the eggs, the larvae, and the adults. Since your pet is the most likely host, start there. Begin by consulting your veterinarian, who can recommend a course of treatment based on your pet's health and living situation. Many vets suggest topical products, often called "spot-on" treatments, or oral treatments. Popular treatments include Frontline Plus, Advantage, Program, and Capstar. These products are usually applied or administered monthly or every few months, and most require a prescription. It's worth pointing out that a small number of pets have an allergic reaction to these treatments, which can be fatal if not treated immediately. The Humane Society of the United States offers safety tips for using flea treatments on its website. Your vet may also suggest bathing your pet with an anti-flea shampoo to kill fleas living on your pet's body, followed by a thorough combing with a flea comb to catch any remaining pests. But fleas can be persistent. If your pet goes outdoors, it can pick up new fleas. Likewise, your pet will become reinfested if you don't also treat your home. Remember, the flea eggs drop off your pet. Flea larvae don't feed on blood; they can find everything they need to live in your carpet. After you treat your pet with an approved flea-control product, you need to get rid of the fleas in your carpet and on your furniture. Otherwise, the flea eggs will keep hatching, and you will be fighting a perpetual infestation of hungry fleas. 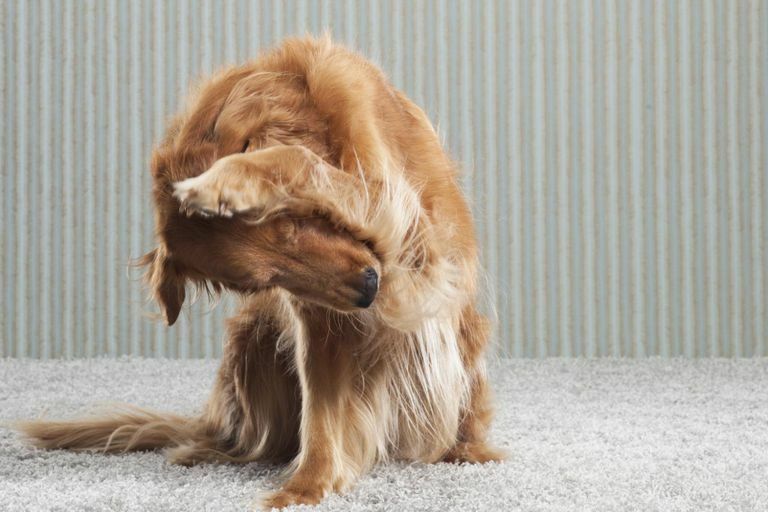 If you act as soon as you notice Fido scratching, you may only need a vacuum and a washing machine for this step. Mild flea infestations can often be managed with some persistent housework. Concentrate your efforts on the areas of your home where your pet spends the most time. Wash pet bedding, toys, blankets, linens, and throw rugs in hot water. Anything your pet has been on or near that can fit in the washing machine should be laundered. Use the hottest water possible. Vacuum carpets thoroughly. If possible, use a vacuum with a beater bar, as these do a better job of moving the carpet pile and getting to the flea eggs and larvae deep within the rug. Make sure you pick up any clutter; don't just vacuum it. Also, move the furniture and vacuum underneath. Some people recommend putting a flea collar inside the vacuum bag to kill the fleas once you've collected them. I haven't found any studies that show this helps, but in my mind, it certainly won't hurt. Vacuum upholstered furniture. Even if you don't think your pets climb on your furniture, trust me, they are. There are probably flea eggs hidden in your couch cushions. Vacuum all the cushions, cracks, crevices, and seams carefully. Remove the cushions and vacuum underneath them, too. Throw away the vacuum bag when done. If you don't, the fleas can escape. If you have a bagless vacuum, be sure to empty it immediately after sweeping and get the trash out of your house to prevent reinfestation. Vacuum baseboards, trim and other places where fleas may still be hiding. If you didn't catch the flea infestation early enough, or in a year when flea populations are higher than usual, you may need to be more thorough with your housekeeping chores. In addition to vacuuming carpets and upholstered furniture, use a crevice tool to remove fleas from under baseboard molding and kitchen cabinets. Look at the places where your pets eat, sleep, and play, and try to find the places where fleas may still be hiding. Apply a pesticide labeled for flea control to infested carpets and furniture. The key is to use the right product, one that contains an insect growth regulator. For flea control, look for spray products that contain methoprene or pyriproxyfen. These products disrupt the flea life cycle, ending the fleas' ability to reproduce in your home. Both chemical and natural products are available. Raid, Vibrac, and Frontline are three popular brands of chemical flea treatments for the home. Foggers can sometimes be effective, but they require very careful handling and use. You'll need to vacate your home for two or three hours while the fogger is on, plus you'll need to clean all cooking and food-prep surfaces and utensils afterward. The Environmental Protection Agency has more tips for safe use of foggers on its website. If you want to avoid using harsh chemicals, there are some natural flea-control solutions as well, but they are often less effective. Vet's Best and Nature Plus are two natural brands that earn good consumer reviews. You can also try adding a drop or two of essential oil (such as eucalyptus or lavender) to a spray bottle filled with water, then spraying the mixture on pet bedding, furniture, and rugs. Some experts also recommend spreading diatomaceous earth on rugs, bedding, and furniture, but it can be difficult to vacuum up. Regardless of the product you choose, follow all directions on the label. Do not apply these products to your pet or your skin. Keep pets and children off of treated carpets and furniture for three days, which will allow the treatment time to work, then thoroughly vacuum. If you still find fleas after following the steps above, you may need to do another round of cleaning and vacuuming 14 to 28 days later. If you live in a warm climate where fleas can thrive outdoors year-round, you may also need to have your yard treated. Don't forget to reapply monthly topical flea treatments to your pets and check regularly for fleas. Use a flea comb on your pets. You can purchase a fine-toothed flea comb at your local pet supply store or at your veterinarian's office. Comb your cat or dog regularly, and examine the comb for fleas, flea eggs, or flea dirt which may be a sign of flea bites. Use a lint roller on your clothing. After your cat or dog has been on your lap, do a quick check of your clothing with a lint roller. Use the kind that comes with sticky tape, and roll it over your pants and shirt. Check the sticky tape for evidence of fleas. For all but the most severe flea infestations, these steps should get fleas under control. In some cases, such as when a multi-unit apartment building becomes heavily infested with fleas, the services of a professional pest control specialist may be required to eliminate the pests. Crosby, Janet Tobiassen. "The Life Cycle of the Flea." 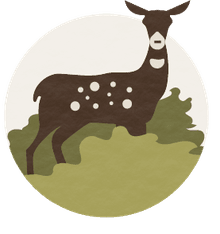 TheSpruce.com. 4 April 2017. Flowers, Amy. "Get Rid of Fleas in Your Home, Step by Step." WebMD.com. 18 February 2018. Humane Society of the United States staff. "Flea and Tick Product Ingredients." Humanesociety.org. Can I Get My Pet's Fleas?